At past 10 a.m., I was considering either a Starbuck’s Tomato, Basil and Mozarella Bagel or some gourmet sandwich from The Sandwich Guy for my lunch after having two full bowls of goto (beef stripe congee) and tokwa’t baboy (fried tofu and pork) at breakfast. But, I still feel full and bloated a little before lunchtime so I thought a salad meal was a better choice. 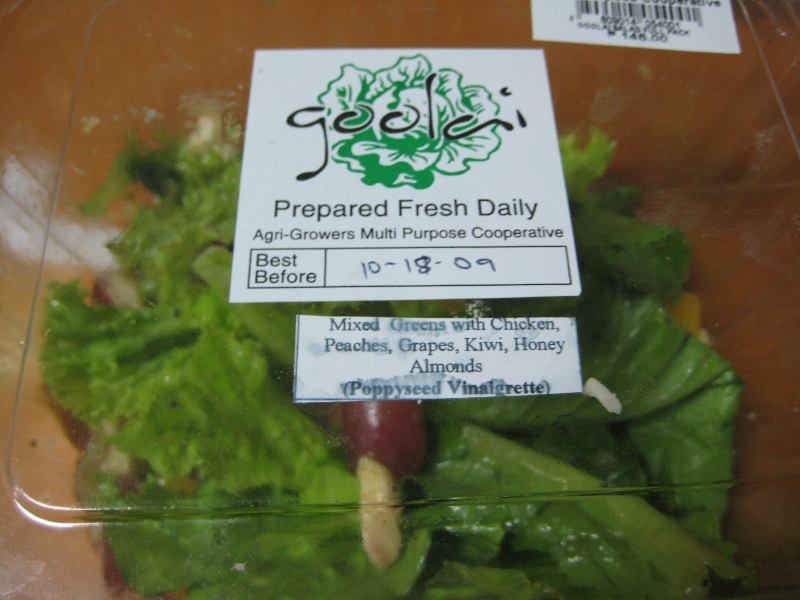 I checked on Petron’s Treats across my office building for the available ready-to-eat salad items and I got this Goolai. 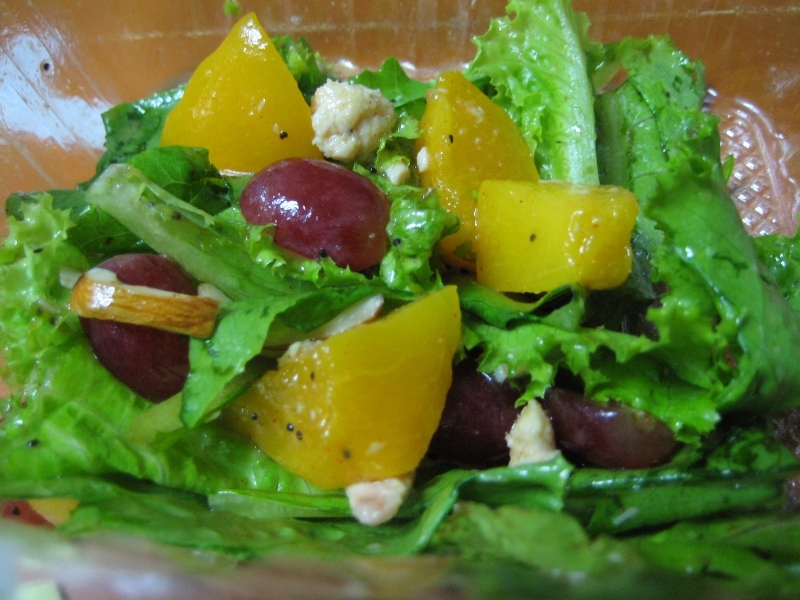 I opted for the mixed greens with chicken, peaches, grapes, kiwi and honey almonds in poppyseed vinaigrette over the one with creamy dressing. The dressing was good, not sour for a vinaigrette, a bit tangy. It was a good choice. Check out this salad at Petron’s Treats, Crossings and Robinson’s Supermarkets. Categories : Health is Wealth, How's Your Food?